A classic sheath with a dazzle of embellishment will always look classic, and something we should keep in our closet of delights. 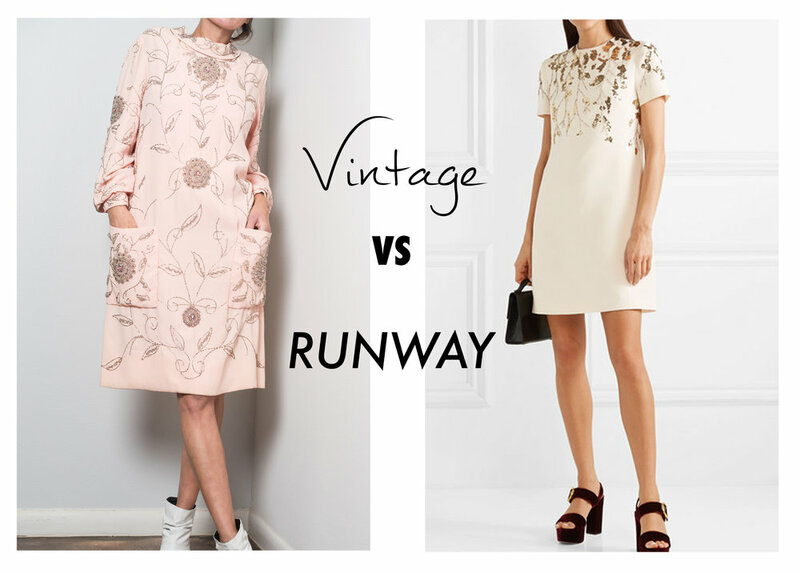 This week our 1960s rhinestone beaded petal pink crepe collared number is up against this Valentino wool mini. Both are beautiful, but is $5,200 worth the Valentino price point when vintage is well under $500?